In a bowl combine well all sauce the ingredients and put aside. Fire up a grill or skillet to medium-high. Grill your steak 6 minutes per side for medium-rare. Remove steak to a plate and top with the salsa. Let rest for 5 minutes before carving. Oh does this sound good. It’s funny because this is the 2nd time in the past 2 days that someone has mentioned flank steak to me. 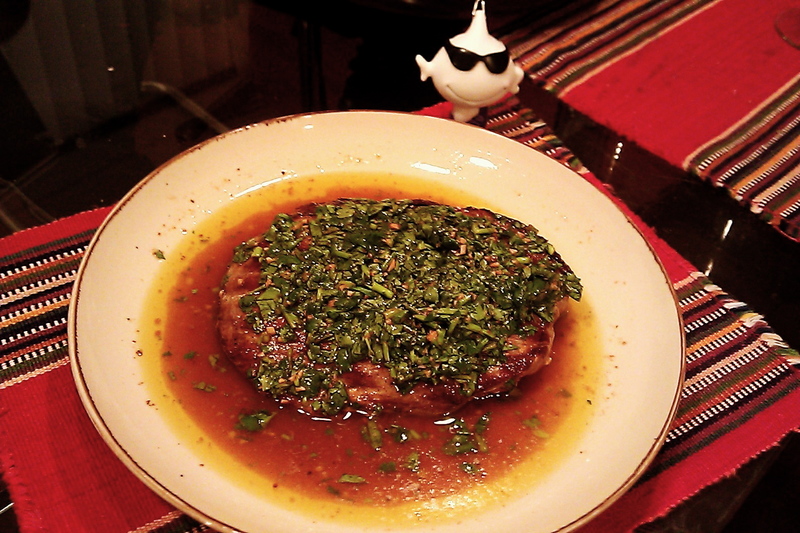 The Chimichurri Salsa sounds awesome but boy, did you ever time that steak to perfection. Thanks, Diane. When I was looking for some quality steak last that doesn’t cost a day’s paycheck the butcher recommended flank. It’s quite tender and I bought grass-fed for quality. I’ve never made chimichurri, but it sure looks good. I would like to try it. Thanks for posting the recipe. Thanks, it’s really good. Please, do try it I think you’ll like it! This looks absolutely delicious! Oh! I just love chimichurri. Thank you, Lidia. I love how an easy salsa can taste so delicious. 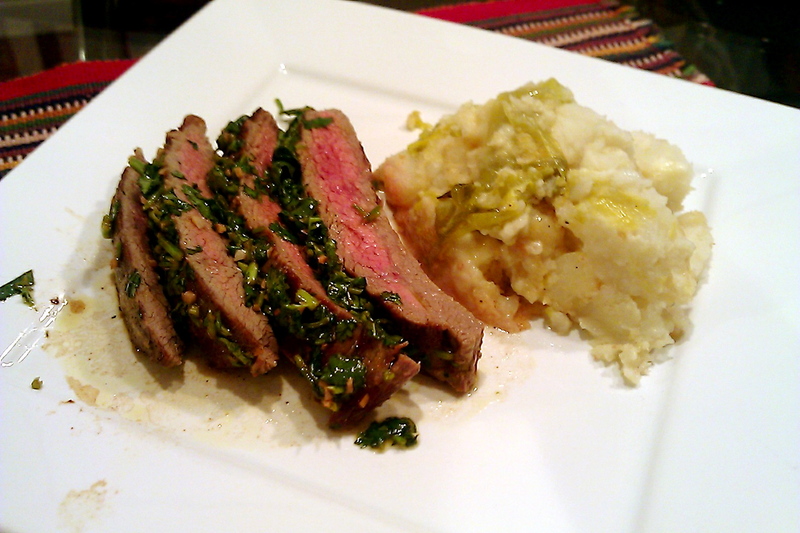 Love chimichurri sauce! And your steak is cooked perfectly. YUM! One of my all-time favorite dishes. Looks so good! Love chimichurri! Especially in the summer time!